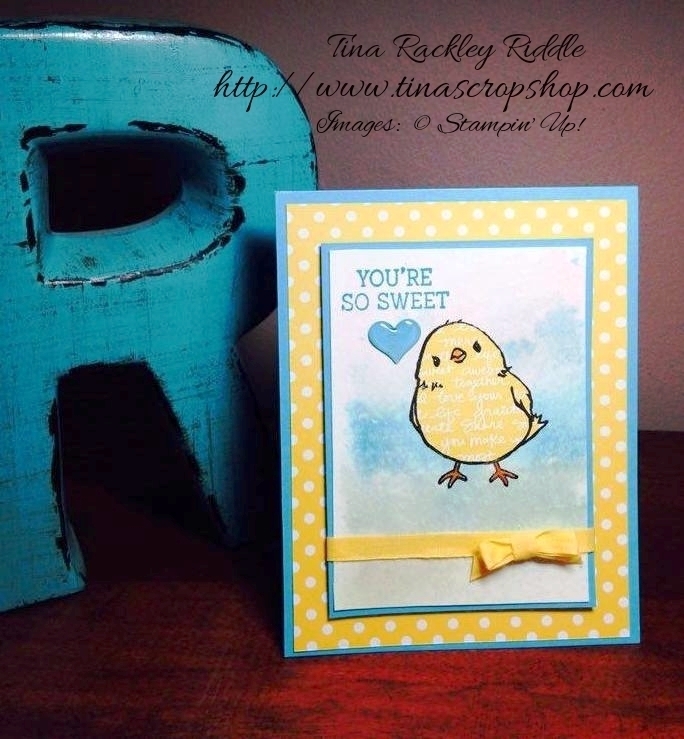 Tina's Crop Shop: ICS Blog Hop Let's Sale-a-brate! ICS Blog Hop Let's Sale-a-brate! 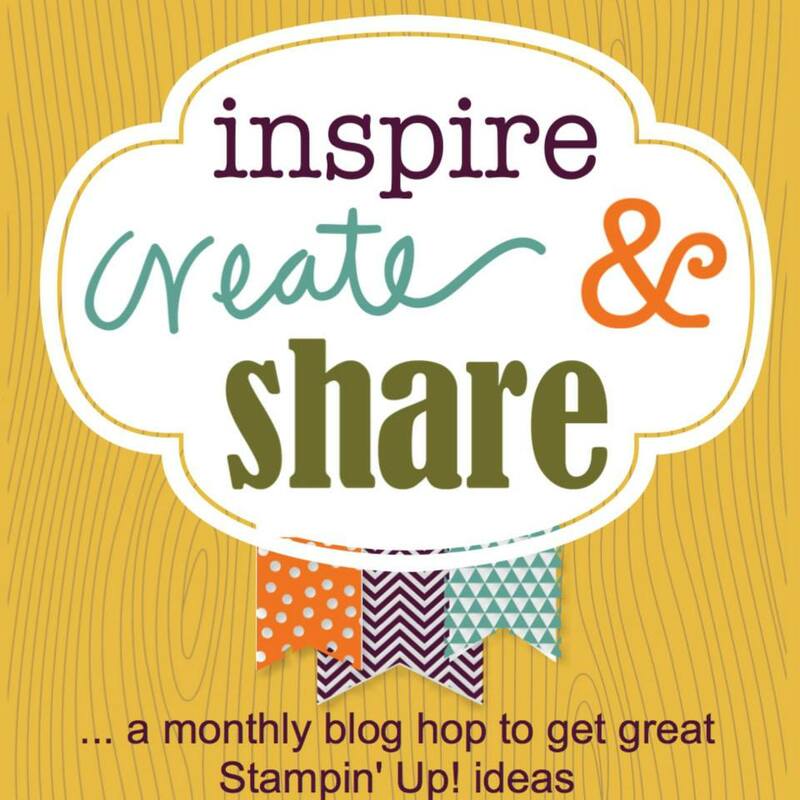 Hello and welcome to Inspire Create & Share's January 2016 Blog Hop! We are Sale-A-Brating the new Sale-A-Bration Catalog as well as the Occasions Catalog that can help you earn free Products this month. 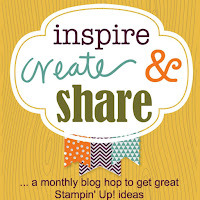 If you have been hopping along, you should have landed here from Terri Takashige's fabulous blog! If you started with me, make sure you hop along and check out all of the awesome inspiration that the ICS Bloggers have to share with you this month! I have to tell you.... I love pretty much EVERYTHING in these two catalogs! Trying to decide which one to use was super hard for me! In the end I had to go with the Sale-A-Bration Honeycomb Happiness because this little Chick was screaming at me to ink him up! I love an open stamp that you can paper piece and this chick was just the perfect stamp for that. I started with an 11" x 4 1/4" piece of Tempting Turquoise Cardstock, scored at 5 1/2". I added a 5 1/4" x 4" piece of Daffodil Delight Polka Dot DSP from the Brights DSP Paper Stack. The middle section was a piece of 3" x 4 1/4" watercolor paper that I did a watercolor wash on the background.... the bottom was Pear Pizzazz, the middle section was Tempting Turquoise, and the upper section was Blushing Bride. I used my heat tool to dry the background before stamping the chick with the Black Archival Ink. I also stamped the chick onto the Script DSP from the Brights DSP Paper Stack (on the reverse side of the polka dot). I used my paper snips to cut out the chick ignoring the feet since it was already stamped onto the watercolor paper. I glued my Script DSP chick onto the watercolor one with Tombow Multipurpose glue. I used a Pumpkin Pie marker to color in his feet and beak. The sentiment was stamped in Tempting Turquoise and the heart under the sentiment was punched using one of the punches from the Itty Bitty Punch Pack in Tempting Turquoise and adhered with a glue dot. I topped the punched heart with one of the Itty Bitty Accents Epoxy Stickers. I have to admit this is the first time I've used one of these Epoxy Stickers over a punch and can I just say WOW.. I love it! I matted my watercolor paper with a 3 1/8 x 4 3/8" piece of Tempting Turquoise. I ran a piece of Daffodil Delight 1/4" Cotton Ribbon across the bottom and tied it in a bow on the right side. I then adhered the entire layer onto the center of my card using Stampin' Dimensionals. I really think it turned out super cute and hope you love it too! Next on our hop is Jen Guarino's awesome blog.. you won't want to miss it, just click the next button! Cute card! Love how you did paper piecing on the chick! Thanks Darla! I love to Paper Piece! Tina, your card is absolutely adorable! I can't wait to get that little chick. I love paper piecing and love the inspiration of paper piecing this sweet image. Making me want to look at my other stamps and see the possibilities! Fabulous card! LOVE the paper piecing and the watercolor washed background is fabulous! The words on the card say it all! That is such a sweet card! Tina this card is adorable!! You are going to have teach me your mad paper piecing techniques!! Too cute! I like the subtle colors! What a sweet card! Well done, Tina! Sweet little bird! Cute cute card TOO! Thanks for the great share! What an adorable little card!!!! Too cute!!!! Oh my word...such an adorable card! I didn't realize the details on the chick stamp!